Serenus Johnson’s Safety program is more than a procedure, it is our everyday way-of-life. 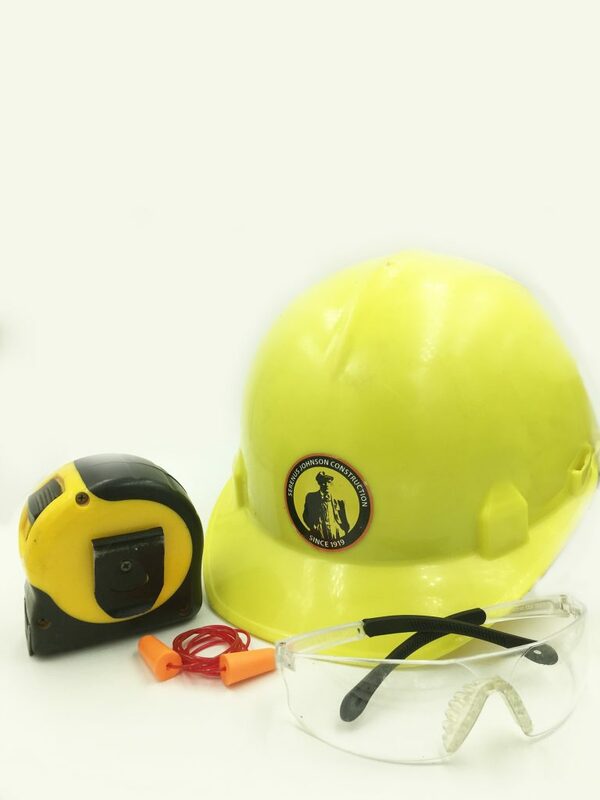 From the project site, to the office, yard and even our commitment at home, safety is much more than wearing protective gear and keeping work areas tidy. It about making sure potential issues aren’t overlooked. Safety is about thinking of others, along with ourselves, and all potential safety risks at hand. It’s the commitment to each other, the team, and the company; and having the courage to challenge others in making efforts to remain safe. It’s a culture that can satisfy several key parts to the work environment. We all spend more time at work than we do with our loved ones. So, our coworkers because of the amount of time we spend together, each and every day, become family. In essence, we are all a family and strive to look out for each other’s best interest. This interest may have many different variables; relying on each other for better or worse, each and every day. If one of us gets injured and can’t make it to work, that hinders job continuity. Therefore, we are committed to looking at projects and identifying known and unknown hazards. We need consistency from our employees’ abilities, because it takes great effort from all involved to complete work on time and within budget. This aids us in being healthy for our family, our coworkers and our customers. It also prepares us to be ready and able for the next project. Safety is Serenus Johnson Construction’s number one focus. Without an emphasis on safety, there is no potential for future work. This past month we had our monthly meeting where we spent four hours training, in-house. This is our new norm and we are continuing these meetings that begun last year. During these meetings, we cover several topics each time we meet. 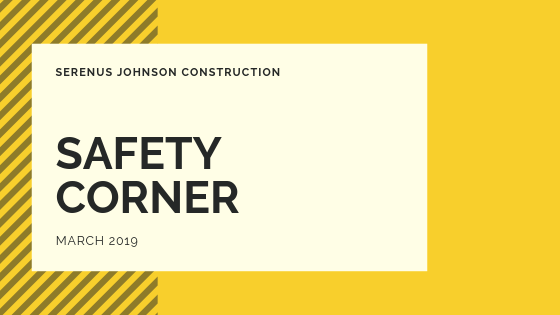 The last meeting, Gordon Burnside of GBSafety, LLC, aided us by discussing the importance of Ladder Safety and Noise Conservation Safety Training. In these trainings, there are several topics that are very valuable for our company’s employees, not only on the job site, but also for simple use at home. From proper positioning of ladders, and conduct on them, to simple storage and up keep. As for Noise Conservation safety, it is much more than putting ear plugs in when there are loud or sharp noises. Hearing protection (Noise Conservation) is a science that covers how to recognize potential hearing risk exposures as well as general hygiene for your ears when using insertable ear protection. All of the information hasn’t been treated as a list of tasks we need our employees to get through to check a box of completion, Serenus Johnson Construction is committed from the field staff through the President of the company. Our President (Bill Woolwine, Jr.), who started in the field 30 years ago, has no higher priority than keeping his men and women safe on the job. His vision is extended to more than just our company and our staff, we are committed to the safety of all who work in our work sphere. 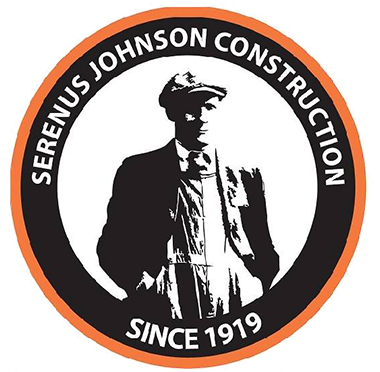 Since 1919, integrity has been the foundation of Serenus Johnson Construction. This integrity is based on a personal and industry standard. Our staff and crews share this vision of investing in future by satisfying every customer on each project. Copyright © Serenus Johnson Construction: Bay City, MI. All rights reserved.